The notion of the Future’s Series: Lost Cities 2018 is steeped in mystery and adventure, and the inevitable uncertainty that surrounds the disappearance of a civilisation that once thrived. Ancient History’s Lost Cities examines why certain cities became abandoned, as well as how several were rediscovered years, even centuries, later. From Troy, Babylon and Pompeii to Petra, Angkor and Machu Picchu, step back in time and learn about the rise and fall of such fascinating places. Visit lesser-known cities, such as Carthage and La Ciudad Perdida, and discover the stories behind these unfamiliar civilisations. 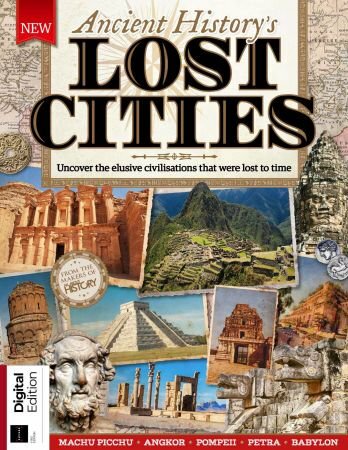 Through photos and illustrations of the places, people and artefacts, as well as written records and detailed maps of the key sites, go on a journey unlike any other you’ve been on before, and lose yourself in the captivating world of lost cities.